Solar Energy from Sun ,Lunar Energy from Moon, Earth Energy, Sky Energy, Electric Energy, Magnetic Energy, Thermal Energy, Wind Energy, Light Energy and Cosmic Energy. The Directions The importance of orientation of a building is not only for saving energy but also to have a better house design, which not only gives comfortable living but also gives good health, prosperity and wealth to the house owners/occupiers and these families. There lies a co-relation between the rotational scenario of the planets and the home design and their different directions with respect of NORTH. The building of any type and its construction meets the purpose if proper orientation has been given using suitable local building material. It increases not only its life span but also improves the condition of occupants. There are instances where buildings are not planned according to required local orientation were lost or deteriorated much faster than the buildings having built with proper studies of orientation. The proper orientation means the proper knowledge of all the eight directions. It is a common knowledge that the direction from where the Sun arises is known as East and where it sets as West and when one faces the East direction, towards one’s left is North and towards one’s right is South. The corner where two directions meet obviously is more significant since it combines the forces emanating from both the directions. SO in all there are eight directions , North, Northeast, East, East-south, South, Southwest, West, West north. Every direction has its own significance and has its own construction. The basic rules of Vastu Shastra are based on these eight directions. Vastu is essential Vastu forms the basics of each construction; one must follow Vastu from the initial level i.e. from choosing a plot to shift in the home. Everything should be done according to Vastu principle since Vastu is not merely a word but it is a SCIENCE and a bridge between man and nature. Vastu is followed while choosing a plot, how to choose a plot: the shape, the nature of the soil. When and how to construct a house, how to do the interiors, how to choose colour and when to shift. Vastu is such a deep science that it is a pool of information and one can have any doubts cleared with proper reasoning. Vastu is unique Vastu is a science that has originated from India. Feng shui is an art of harnessing energies. Though both have a same objective, the benefit of humanity but the principles are very different. I am a strict follower of Vastu as it is originated from India and its based on our culture, traditions, geographical conditions, climatically conditions and everything for India. And fengshui is originated in China and based on their culture and traditions. 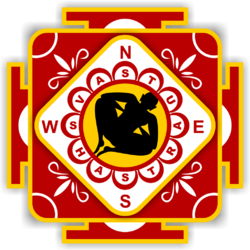 INDIANASTROPREDICTS, has been practicing a vastu since many year. Vastu shastra helps us to make our lives better and will secure from things going wrong. Vastu Shastra benefits us in living a Healthy, Wealthy, Happy and Prosperous life. Vastu Shastra is an ancient science that is basically born out of doctrine of Hindu tradition of cosmos and the way law of nature influences the human dwelling. We are best vastu consultant at Nominal cost in Hyderabad.